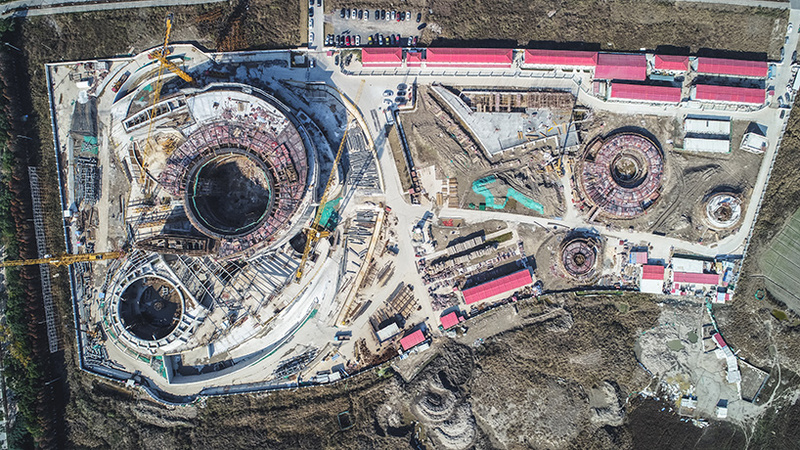 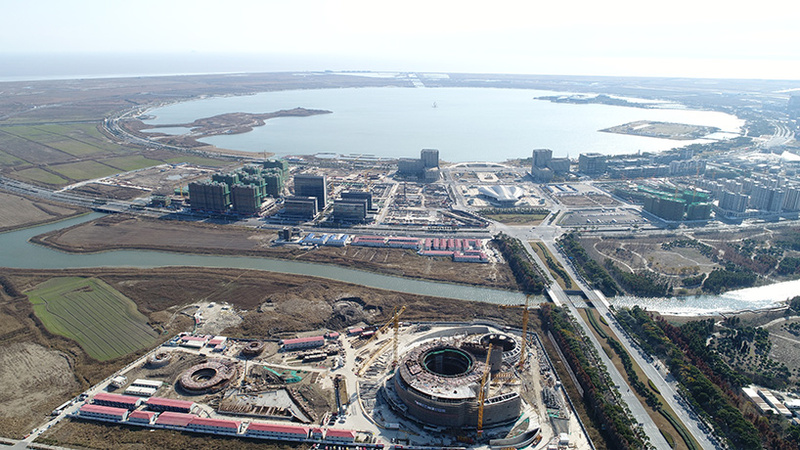 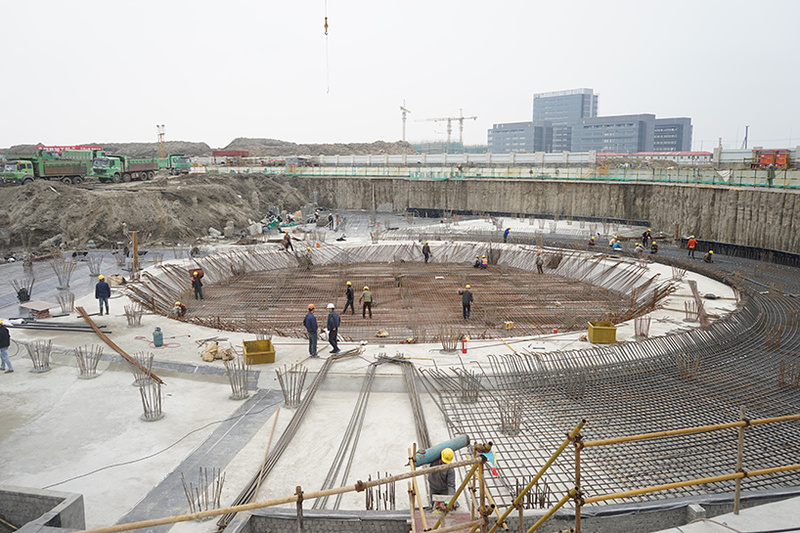 construction work is well underway in china at the site of the shanghai planetarium, a new 38,000 square meter museum designed by ennead architects. 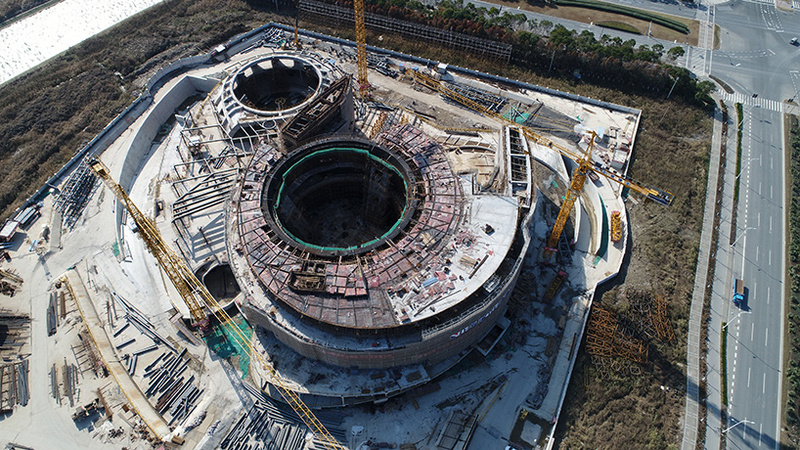 when complete in 2020, the institution will become the astronomical branch for the shanghai science and technology museum (SSTM) and will provide the city’s lingang district with a new cultural identity. 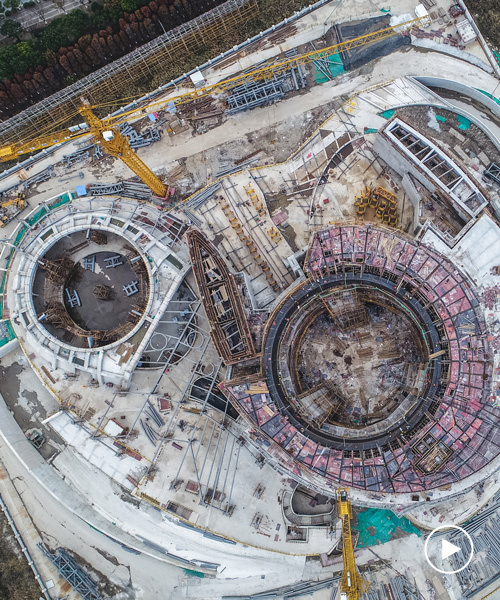 a new drone video, which can been seen above, documents the project’s progress to date. 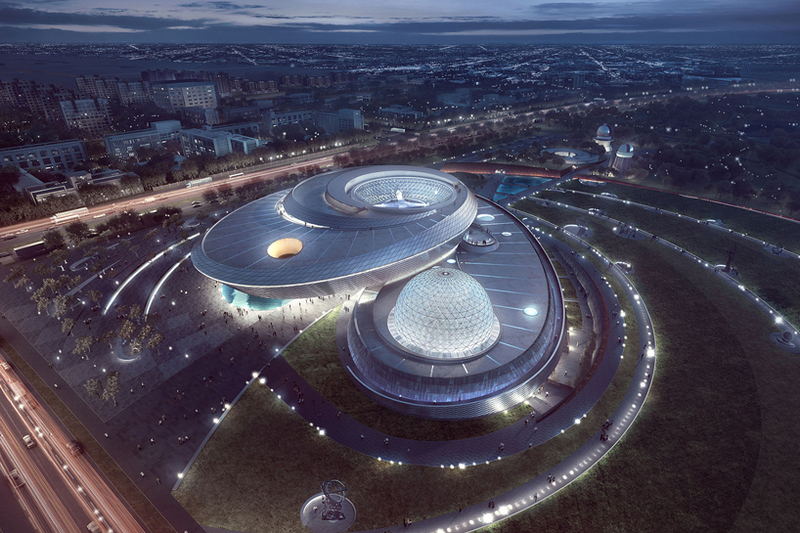 ennead’s competition-winning scheme references astronomical principles, evoking the experience of orbital motion. 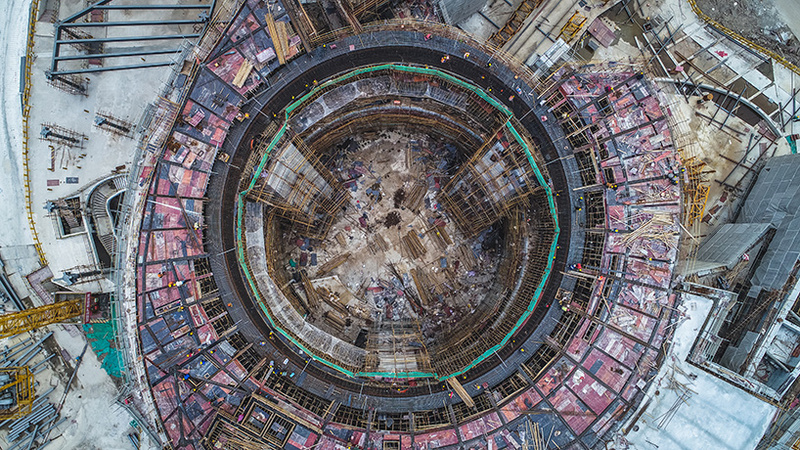 each of the building’s three principal forms — the oculus, the inverted dome, and the sphere — act as astronomical instruments, tracking the sun, moon, and stars. 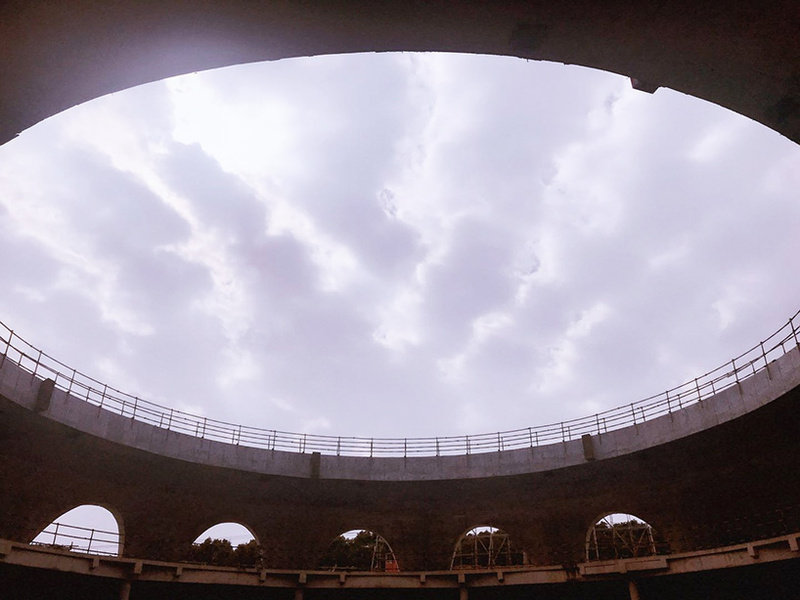 in turn, the building’s form, program, and circulation support the flow of visitors through its galleries — allowing them to fully experience these three central bodies. 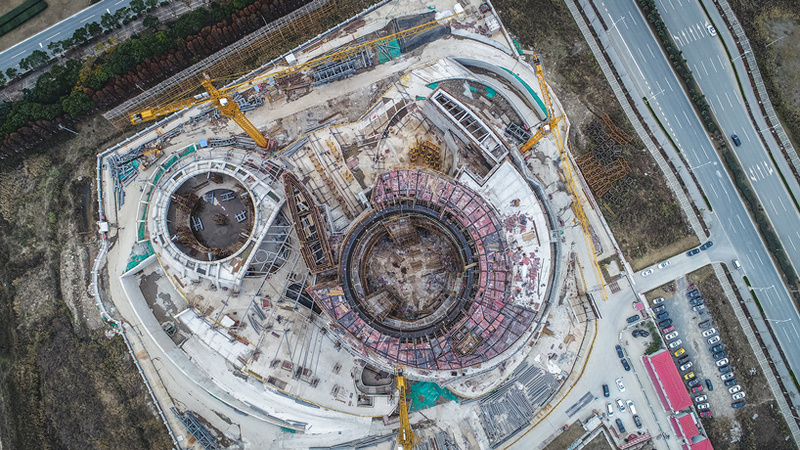 ‘starting this fall, installation of the exterior cladding will commence, including the faceted anodized aluminum panels that form the spiraling ribbon facade,’ thomas wong continues. 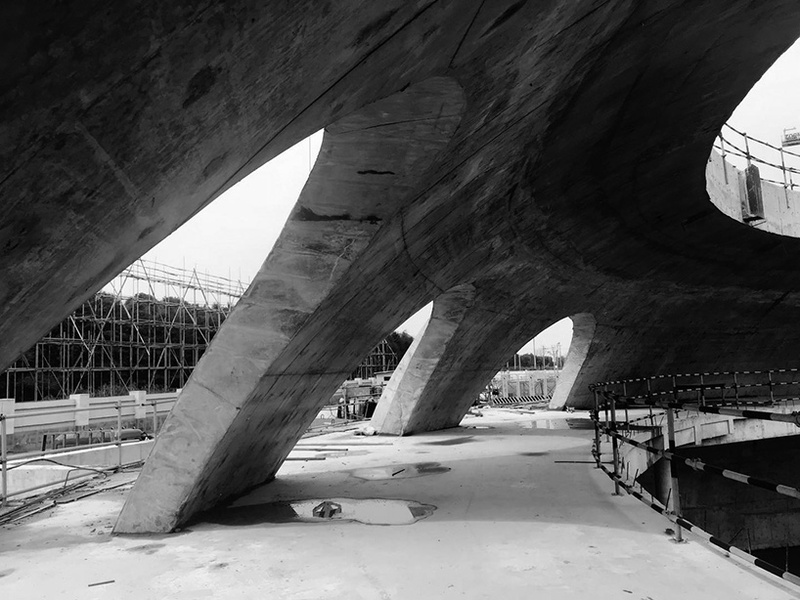 ‘once the base building is substantially complete, exhibit fit out will begin, with the project on track to be finished and open to the public in 2020.’ see designboom’s previous coverage of the project here.